Can You Find the Brown Tree Snakes in This Photo? Try and find the brown tree snakes in this photo. You can always ask the the homeowner if you can find where they’re hiding. The Sunshine Coast Snake Catchers 24/7 Facebook page has a knack for sharing some great photos along with some great stories. 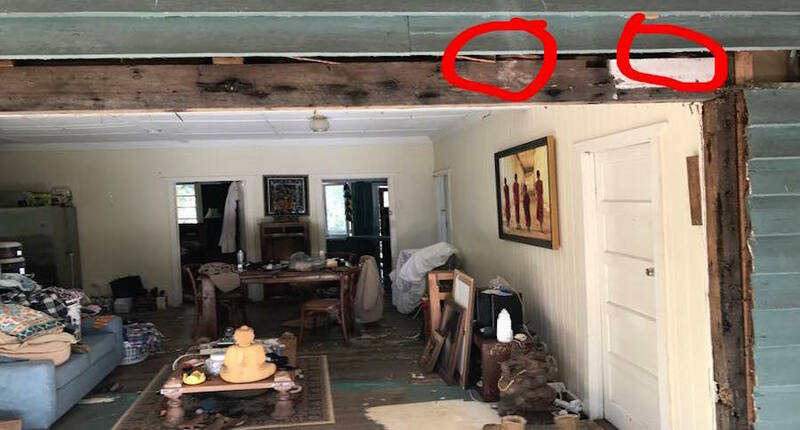 Back on July 6, 2017 they launched this picture of the interior of a home that officially has two snakes hiding in it, calling them specifically brown tree snakes. Listed as an “Environmental Conservation Organization in Maroochydore, Queensland” on their page, they are obviously well acquainted with many types of reptiles from the land down under. Some folks saw them on the bottom near the sofa, and some on the lower right around the ornamentation. Since there’a a lot going on in the picture it’s easy to miss the obvious, but a lot of folks hit it right on the head: upper right corner, inside the woodwork. Brown tree snakes prefer birds, lizards, and bats among other things. These generally nocturnal snakes are known as ‘rear-fanged’ and though somewhat venomous, are not much of a threat to humans due to the difficulty of conveying their bite to a person. As always, when in doubt call a pro!